This fun set comes with 51 pieces. 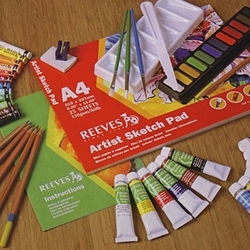 There are six 12ml acrylic colors, six 12ml watercolor tubes, twelve watercolor tablets, twelve large oil pastels, five colored pencils, one sketching pencil, three brushes, one plastic mixing palette, one sharpener, one eraser, one painting knife, one instruction leaflet, and one pad with 25 sheets of paper. 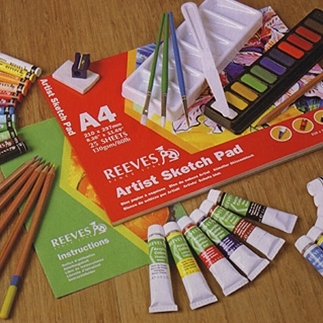 A fun set for artists of all ages!